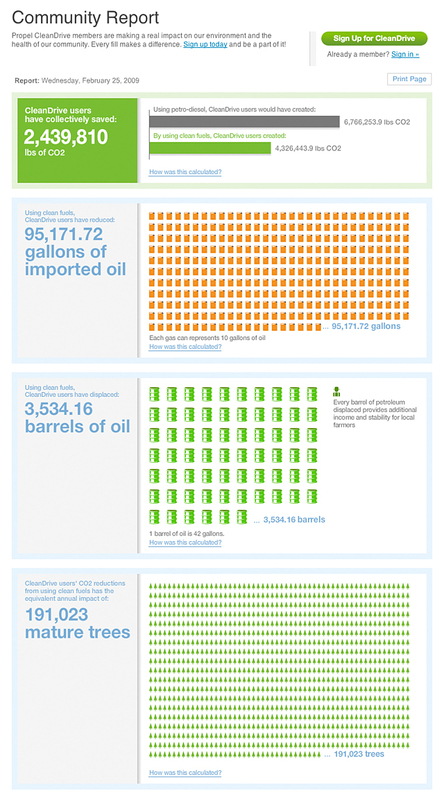 Working closely with Propel Fuels we developed CleanDrive, a tool that allows customers to track how much CO2 they save by using Propel biofuels. 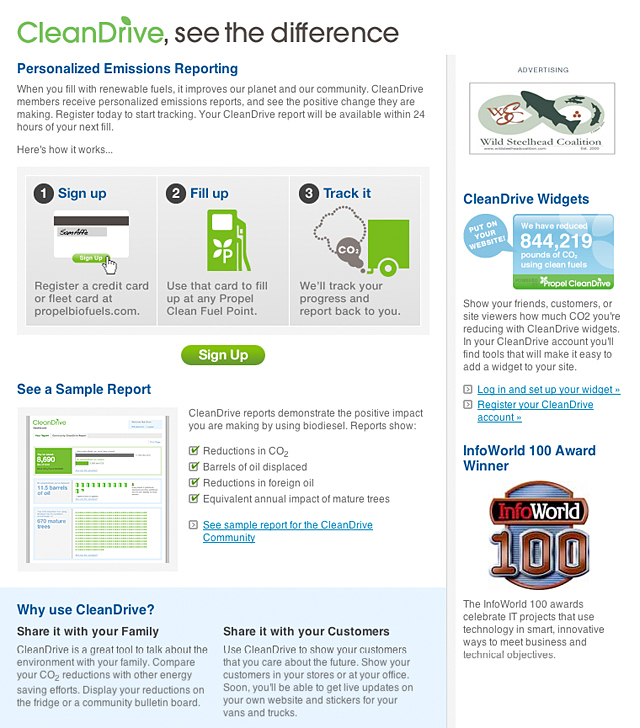 CleanDrive integrates with each station to record how much fuel each customer uses. The pump data is then aggregated and presented as a dynamic chart online. Customers get to see their individual savings, while commercial and government fleets get to see savings for the entire group. We also developed widgets that businesses can put on their own websites to publicize their efforts to curb global warming.